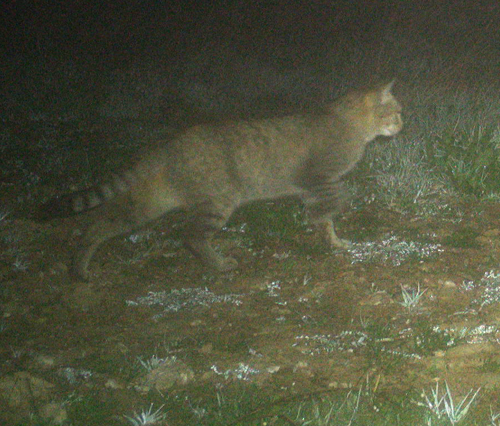 December 2018: Not a Lynx, but a European Wildcat seen in Alentejo ! February 2017: Captive-bred lberian lynx release season starts. The season for the release of captive-bred Iberian Lynxes started on Friday in the Mértola area of Portugal, with the release of two Iberian lynxes, one male, one female. According to the Institute for Nature and Forest Conservation (ICNF) eight lynxes are due to be released by the end of March. The Iberian Lynx is classified as endangered on the International Unions for Conservation of Nature (IUCN) Red List of Threatened Species and is the world’s most endangered feline species. In recent years the captive breeding programme and conservation measures have increased the population from a figure of less than 100 animals, to an estimate of just over 400. July 2016 Update: I have received a report of an Iberian Lynx being seen in the area around Porsches in the Algarve on 21st July 2016. Very exciting. 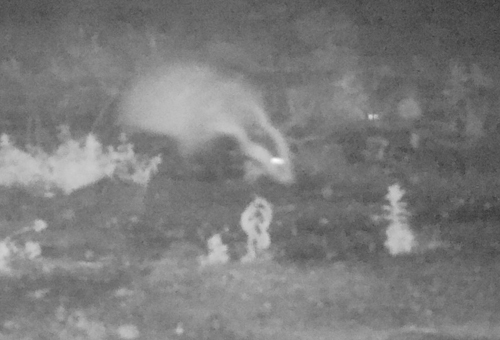 I suspect it will be a young male looking for a suitable territory with lots of rabbits, female lynx and not too much competition from other male lynx or other predators. 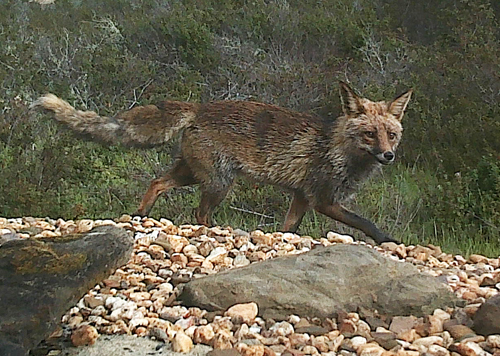 I am adding additional trail cameras to increase my own efforts to see if I can find an Iberian lynx on my wildlife reserve in Alentejo, an area where historically lynx used to live. 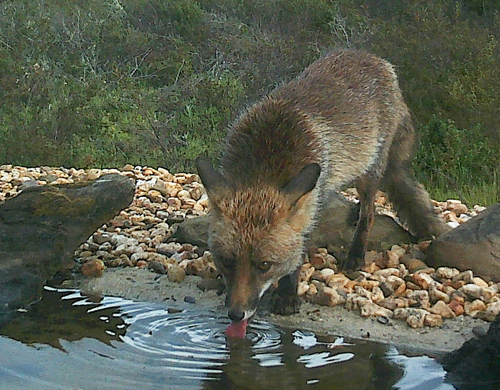 Iberian fox. A competing predator of Rabbits. 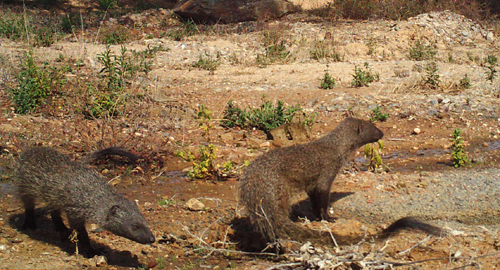 Iberian Mongooses. 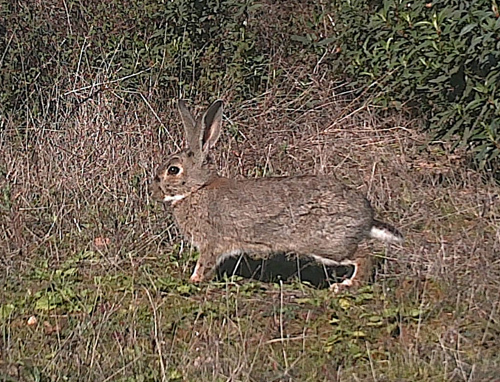 Also predators of Rabbits. 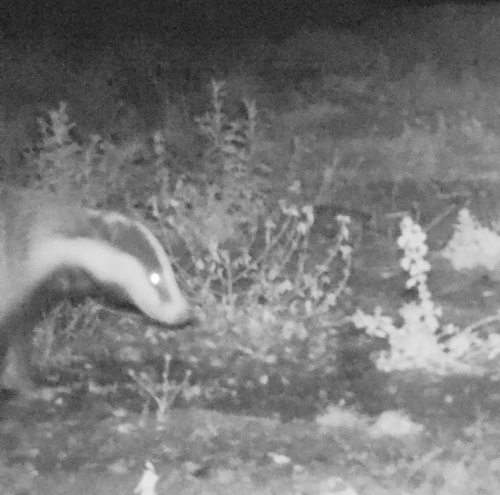 Iberian Badger. Another predator of Rabbits. European Rabbits ! 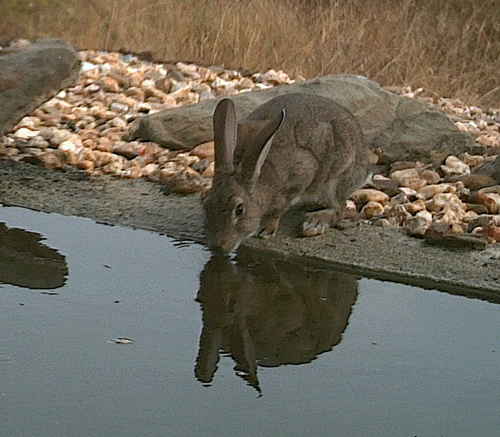 We have lots on our wildlife reserve. 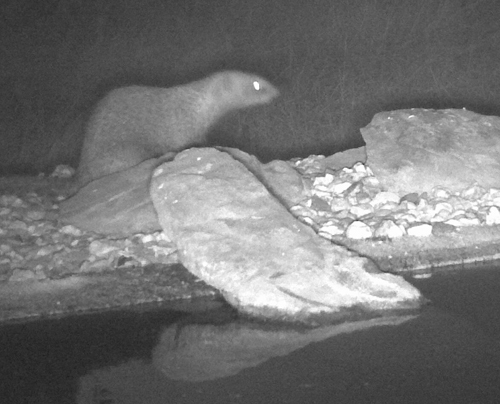 November 2014 : IBERIAN LYNX CAMERA TRAP PROJECT: I recently set up a trail camera to monitor the wildlife, especially mammals, that occur on my 12 Ha wildlife reserve in Baixo Alentejo, Portugal. Since a number of Iberian Lynx have been reintroduced to Portugal there have been a numnber of sightings of lynx across Southern Portugal. Young males in particular tend to travel over large distances to look for suitable territories to establish themselves in. A while ago a young male lynx was seen near Odemira a town not far away fromn my reserve. As the reserve has a good, healthy population of rabbits, the main food of lynx, a primary aim of the camera trap project is to capture an Iberian Lynx on digital film ! News Item in The Portugal News, November 2014 : In October it was revealed that Portugal could soon see the Iberian Lynx’s population resurrected after a deal was agreed to secure two thousand hectares of land to which the elusive animals will be reintroduced. A few weeks ago, in a ceremony presided over by Portugal’s Secretary of State for Spatial Planning and Nature Conservation, Miguel de Castro Neto, contracts were signed between the Institute for Forest and Nature Conservation (ICNF) and the owners of land in the Guadiana Valley onto which the lynxes will be released. It elaborated that “some of the cubs born at the CNRLI [breeding centre] in Silves [Algarve] have already been reintroduced successfully in Spain.“Their reintroduction in the Guadiana Valley could be done with cubs from that same centre or from another Iberian centre as the programme works as a network with Spain and the best technical decisions, namely with regards to selecting the cubs for reintroduction and where they come from, are made jointly.” The Iberian Lynx reintroduction programme, it was explained, similar to other animal conservation programmes the world over requires “a permanent monitoring of the animals released which includes marking them and following them with telemetry and photo-trapping. Efforts to bring the Iberian Lynx back from the brink of extinction are based on a National Conservation Pact undersigned by the municipalities of Penamacor, Moura, Beja and Silves, by hunting associations and other private and public entities. Iberian LynxNews: A re-introduction programme is now underway in Portugal. A rehabilitation centre has been established at Silves in the Algarve. A small group of Iberian Lynxes from Spain have been brought to a set of secure enclosures. The plan is to eventually release some of the Iberian Lynxes back to the wild in Portugal. 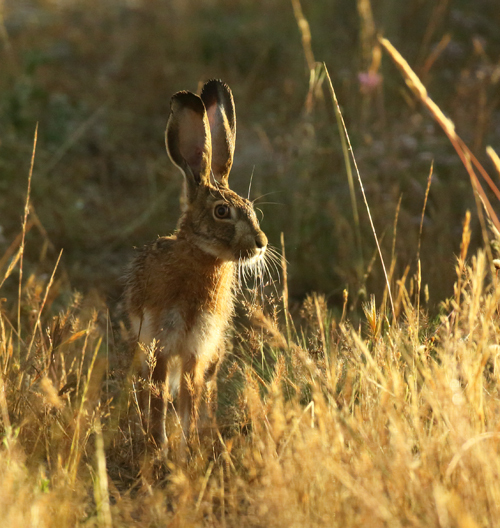 Various areas in Portugal are being managed so that good populations of the lynxes' main prey species, rabbits, occur in sufficient numbers that will be able to support the Iberian Lynxes once they are at last re-introduced. 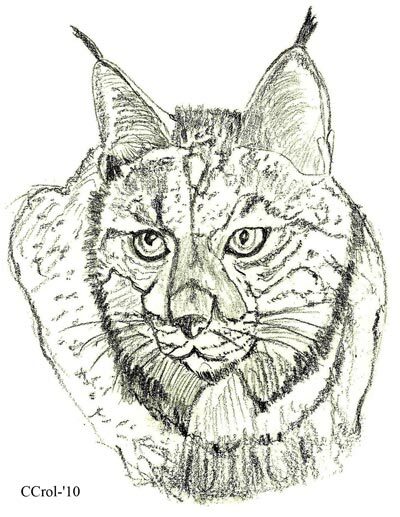 Iberian Lynx drawing courtesy of Jan Kelchtermans of Europes' Big 5, a wildlife travel operation specialising in viewing Europe's top predators and large mammals. 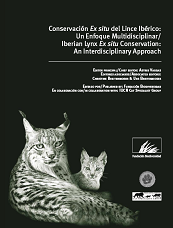 New Iberian Lynx book published: Iberian Lynx Ex-situ Conservation: An Interdisciplinary Approach. Published by Fundación Biodiversidad in collaboration with the International Union for Conservation of Nature, Species Survival Commission (IUCN/SSC) Cat Specialist Group Chief editor: Astrid Vargas (Director, Iberian Lynx Ex situ Conservation Programme; Spanish Ministry of the Environment) / Associated editors: Christine Breitenmoser & Urs Breitenmoser (Co-chairs, IUCN/SSC Cat Specialist Group). This new publication represents the collaborative international work carried out towards the conservation of the Iberian lynx during the past five years, but also portrays similar studies and approaches from other felid species from various areas of the world. The book includes five sections. The first part presents a review of the in situ situation and field conservation activities. The second part deals with genetic aspects and the behaviour and husbandry of Iberian lynx in captivity. The third part compiles papers on veterinary aspects and health issues, which became increasingly important in recent years. The fourth part looks at reproductive physiology of a variety of felid species, placing special emphasis on the latest findings on lynx reproduction. 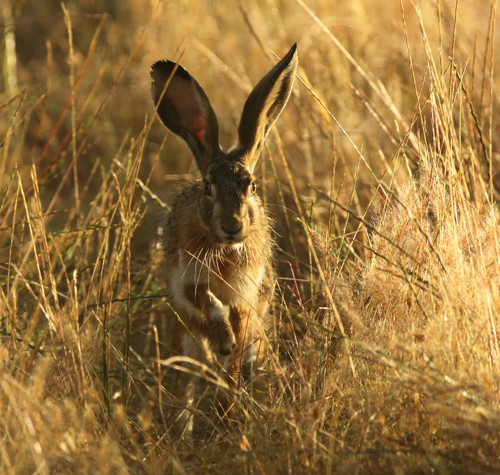 Lastly, the fifth part provides an overview of reintroduction techniques and case studies of felid reintroduction projects. Altogether, 124 contributors from 10 different countries have taken part in the 43 chapters included in the book. Each chapter has been treated as a peer-reviewed paper for a scientific journal, and has been revised by three different experts in the specific subject. Although the book´s main language is English, abstracts and illustration captions from each chapter are presented in both English and Spanish; the prologue, preface and epilogue are also offered in both languages. While presenting scientific research in a wide variety of disciplines, the book also hopes to appeal to the eye of the viewer by including more than 200 photographs contributed by national and international photographers. World renowned photographic artist Joe Zammit-Lucia, has specifically designed the photographs that appear in the front and back covers, as well as the artwork in the opening page of each of the sections. The verses and quotes that appear throughout the book have been largely selected by the authors. The variety of themes, together with the selection of experts and authors from across the world, demonstrates that the Iberian lynx needs international support for its survival, and also reveals how the global conservation society is interested and involved in the recovery of this species, emphasizing how much we all need to work together to prevent the extinction of this magnificent cat.